If you were arrested for allegedly committing a criminal offense anywhere in Sutton County, it will be in your best interest to seek legal representation as soon as possible. An experienced Sutton County criminal defense attorney can help you achieve the most favorable outcome to your case that results in the fewest possible penalties. Goldstein, Goldstein, Hilley & Orr defends individuals arrested in Sonora and other surrounding areas in Sutton County. Our lawyers represent clients in both state and federal courts in Texas. Gerry Goldstein and Cynthia Orr are Board Certified in Criminal Law and Criminal Appellate Law by the Texas Board of Legal Specialization. Van Hilley has been handling cases in both state and federal courts for more than three decades. Our criminal defense attorneys in Sutton County will work to possibly get your criminal charges reduced or dismissed. You can have them review your case and discuss your legal options when you call (210) 226-1463 to schedule a free, confidential consultation. Some of the major roadways in Sutton County include Interstate 10 and U.S. Route 277. Many alleged offenders, however, are arrested for driving while intoxicated (DWI, also referred to as driving under the influence or DUI) on local roads such as Crockett Avenue in Sonora. If you were arrested for alleged drunk driving for the first time or even if you have been previously convicted of DWI, Goldstein, Goldstein, Hilley & Orr can investigate the circumstances of your arrest and fight to possibly have the case thrown out. Our lawyers also handle drunk driving-related offenses such as intoxication assault and intoxication manslaughter. 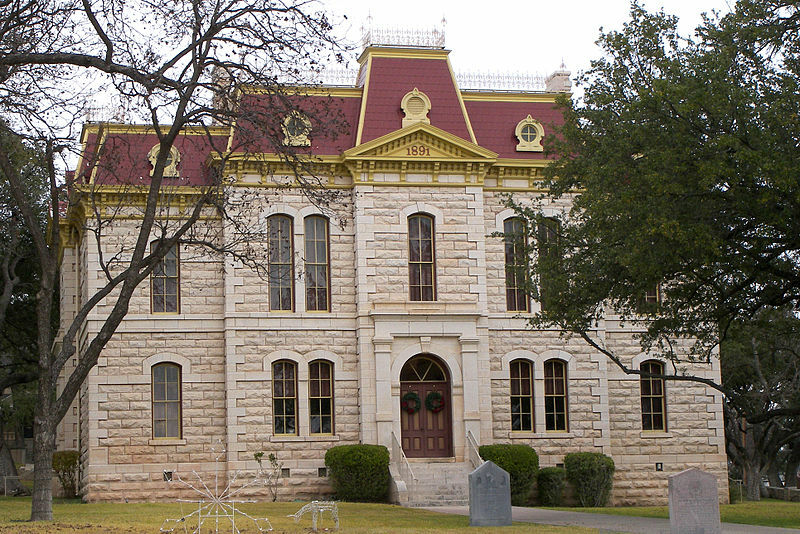 County Court | Sutton County — Misdemeanor cases involving possible jail time are typically handled by county courts in Texas. You will view the court calendar through this link. Elsewhere on the website, you can learn more about the county judge and county clerk. District Clerk | Sutton County — Felony criminal cases fall within the jurisdiction of district courts. The 112th District Court serves Sutton County and four other neighboring counties. Visit this website to learn more about court rules and search judicial records. Justice of The Peace | Sutton County — Traffic violations and misdemeanor cases punishable by fines only are handled by justice of the peace courts. On this website, you can learn more about the judge for the justice of the peace court and find a link to search Texas Highway Patrol citations. Fourth Court of Appeals — The Court of Appeals handles cases appealed from trial courts in Texas. The Fourth Court of Appeals has intermediate appellate jurisdiction of cases appealed from lower courts in Sutton County and 31 other counties in Texas. Visit this website to read recent opinions, learn more about the court’s current justices, and view a court calendar. Sheriff | Sutton County — The sheriff is the chief law enforcement officer in Sutton County. Visit this website to find information on missing Texas children. You can also check the custody status of an alleged offender. District Attorney | Sutton County — The district attorney represents the government in the prosecution of criminal cases in Sutton County. Visit this website to view a district court calendar and learn more about the district attorney and district clerk. You can also find a link to the 112th District Court website. Police Department | City of Sonora Texas — The Sonora Police Department is largely responsible for enforcing state law within city limits. Visit this website to learn who the Chief of Police is and find information about other city departments. Have you been charged in Sutton County with allegedly committing a criminal offense? Do not say anything to authorities without legal counsel. Goldstein, Goldstein, Hilley & Orr represents clients arrested in Sonora and many other parts of Sutton County. Call (210) 226-1463 or fill out an online contact form today to receive a free initial consultation that will allow our attorneys to provide an honest and thorough evaluation of your case.